Click here for some fabulous horsey party ideas and to download and print your own party invites. INCLUDING THE NEW CRUNCHTIME INVITES!!!! 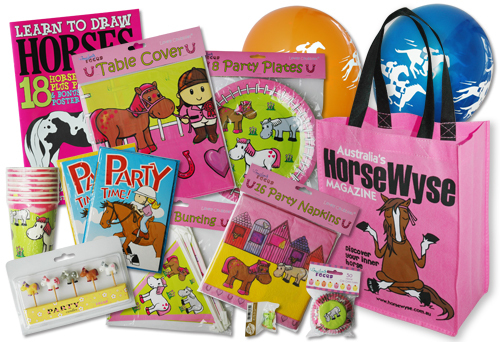 HorseWyse Party bags start from just $30 are are packed full of terrific horsey party fun!